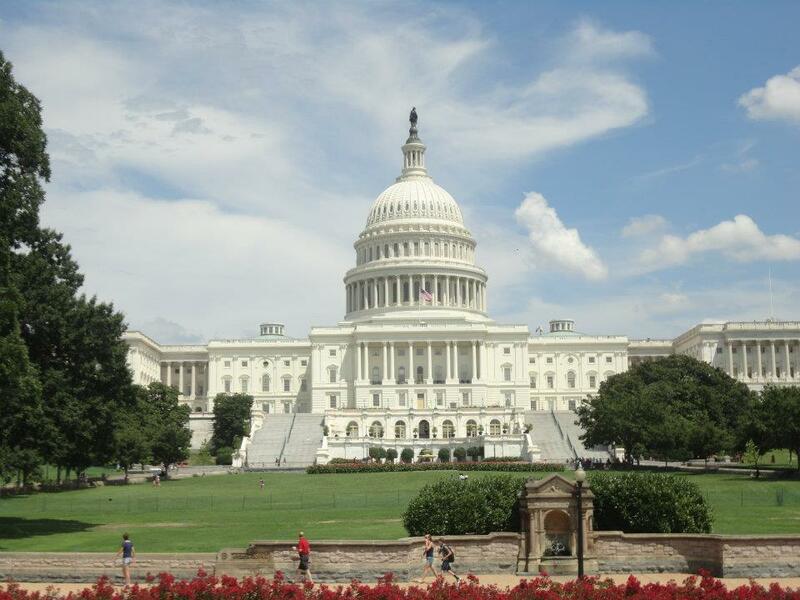 Washington, D.C welcomes the world to experience the true 'Capitol City' of the United States of America. This regal city is also home to the Obama's, so for that reason I especially wanted to be part of the Obamarama vibe! Washington, D.C welcomed me with open arms and showed me a superb weekend. Honestly, this city is truly amazing! Anyway, lets proceed onwards! During my weekend in Washington, D.C the weather was blessed with some truly beautiful sunshine. I had one objective in mind, to seek the jewels of this city in only one day. Just after 9 am my tourist map guided me to the home of the Obama's, obviously their residence had to be The White House. Might I add that the O's have a formidable abode that one was very envious of. 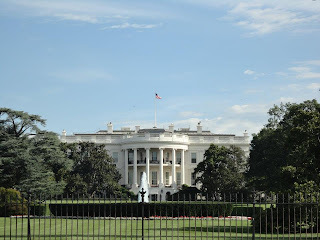 As I gazed at the pillars of The White House I could not help feeling slightly intimidated by the security around the perimeter fences, security is security it has to be done. Looking back it's got to be another one of those moments where I had to pinch myself. Nonetheless, I can say that I have been to the residence of Mrs Michelle Obama, First Lady of the United States of America and true 'Glamazon!' Things had been hotting up at work so I booked a cheeky little trip down to the presidential paradise of the USA. Getting to grips with somewhere new sounded great to me! Living on the North East coast of America makes room for a serious amount of travelling, don't think a whole of dollar was spent during this trip but I have to treat myself from time to time. Washington D.C. seemed to be the choice of the month for I wanted to see somewhere new. Packing up my backpack I made my way to Newark Penn Station for my Bolt Bus ride down to Washington D.C. I passed through some pretty scary places that must of been the ghettos of Baltimore, I must make a point of visiting that city before I return to England next January! Arriving at my hotel was a blessing, I had splashed out to stay at the Marriott Metro Center Washington, D.C. My stresses from work had all disappeared for my choice of hotel was a very good pick if not a little above my price range but we have to treat ourselves sometimes! Long live Obamarama! Speeding my way through the historical delights of this spotlessly clean city. Next on to the Washington Monument for a quick breather, not taking too much of a break for I wanted to ensure that all sides of this amazing city were viewed. I was amazed by the amount of signs that were dotted around the city, I appreciated this very much. As pictured to the right, The Lincoln Memorial proved to be a popular choice for the countless number of coach tourists. Personally, it posed to be another attraction that had a special significance which is always good in my opinion. I won't lie their was a mild amount of construction work going on at that time, but to be honest it didn't ruin my experience. So much culture and history packed into one morning, now that's what I like to see. Washington, D.C. helped me find some inner peace as the last the few days had been quite trying to say the least. The temperatures in Newark, New Jersey had risen significantly so made getting to work really quite uncomfortable, plus my two aunts had not long gave birth to newborn babies so I had a lot deal with on my own. 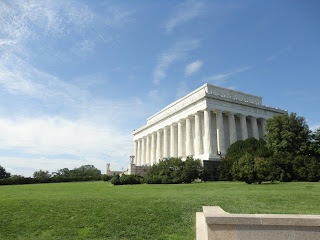 I was pleasantly surprised by D.C's open National Mall that welcomed me with what felt like open arms, allowing me to go forth to discover the wonders that stood before me. Washington, D.C. definitely made me very happy indeed! Taking a unplanned detour to the nearby area of Georgetown, this place opened my eyes to a whole new side of Washington, D.C. As the mid-afternoon sun shone throughout the city I was greeted by a site that made me feel less like I was in America. 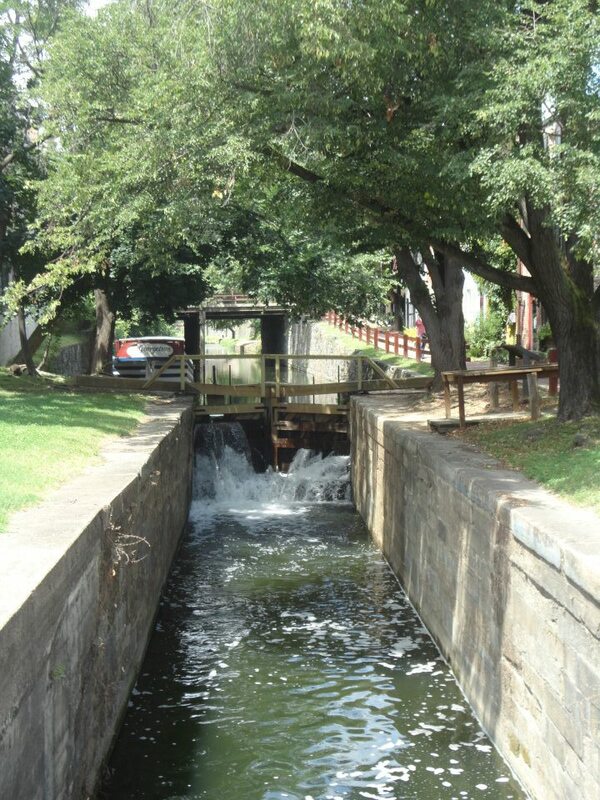 Georgetown is blessed with a quaint canal-side area, only housing one narrow boat it transported me back home for merely a few seconds. Georgetown also featured a number of luxury boutiques, all of which were out of my price range. I was in a state of mild shock as I was only a ten minute walk away from the grand Lincoln Memorial, how could of this been so close? One place that stood out for me was a restaurant that was called 'Paolo's' as my friend shares the same name. I had made the best choice to visit this city as Newark is an interesting place to reside in, I love that place but Washington, D.C. injected some history and elegance into my life during my weekend away from Newark. One thing that I loved about Washington, D.C was that its public transport system was superb. I used the Metro network extensively to access certain parts of The National Mall due to its size. In saying that this city can be accessed by foot easily as the tourist signage is perfectly placed around the best hot-spots. I felt at peace whilst in Washington, D.C because it was a time that I was stressed with work and also my dear friends Thomas and Paolo were soon to make their departure home back to England, this trip restored some calm in my life. 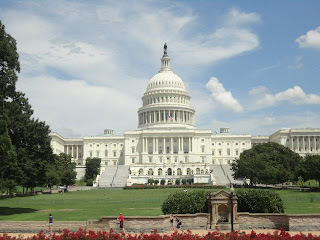 As my day in Washington, D.C progressed, the more I saw of this city the more I loved it. My next stop had to be the U.S Capitol Building. I remember the times that ITV News used to go live to Washington, D.C and this magnificent building was always displayed within the live link, well I had the chance to see it for myself. Taking a little bit of time to relax in the grounds of this building I couldn't miss the countless sea of coach-makers making their way across the grass front to snap a shot of this iconic building, you could say I was also being 'typically tourist' during that moment?! My day in Washington, D.C. had taken all the energy I had so I thought it was best to retire back to my hotel to conserve my energy for the next day as I wanted to see the Pentagon Memorial in the nearby state of Virginia. Little did I know that it was the opening ceremony of the 2012 London Olympic Games that evening so I planned to spend that evening being lazy by watching the television in my hotel room as that would be quite a luxury as I don't have a television in Newark. Walking back to my hotel I discovered the Barnes and Noble bookstore, taking some time I had a browse through the magazines as I had been lucky enough to find my Attitude Magazines in Philadelphia in April. I successful found the July copy and bought it immediately even asking a store assistant if there were any back issues available as I was having trouble finding my favourite magazine stateside. Bring on the Olympics I say! Domino's Pizza and NBC dominated my evening, so that suited me just fine! All in all I would definitely take advise anyone to spend some time in this presidential city for its a melting-pot full of cultural and historical wonders. 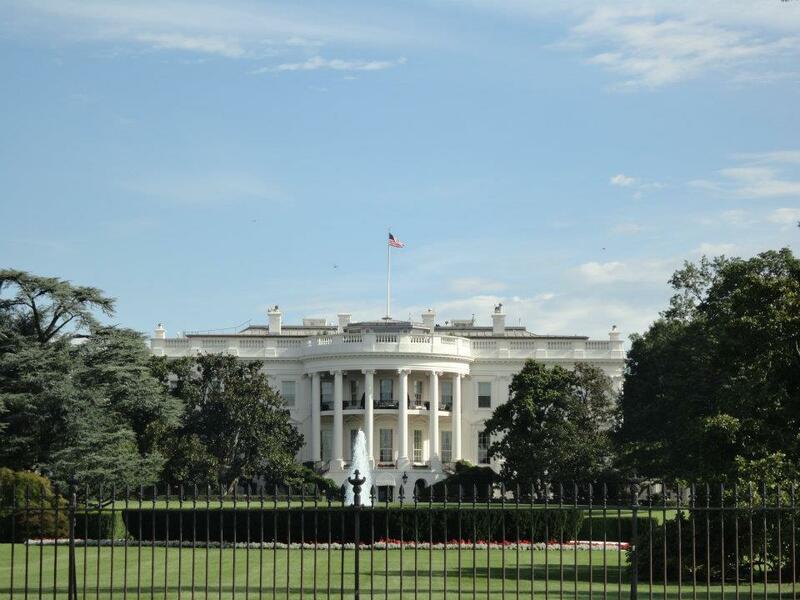 So pack up your troubles and experience the amazing city that is Washington, D.C!